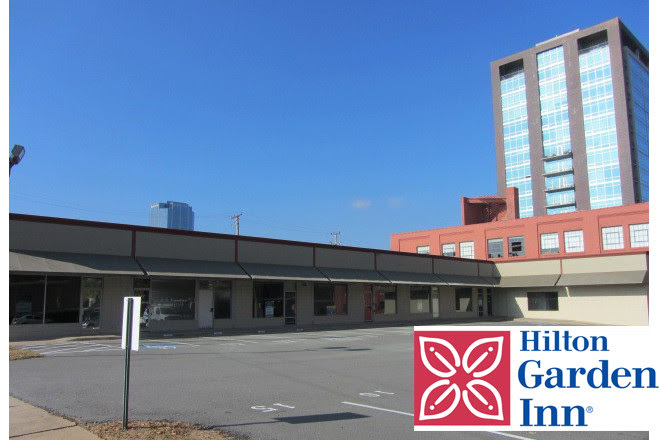 Remember the Hilton Garden Inn coming to downtown Little Rock that we told you about two years ago? We understand that ground should be broken for the seven-story, 140-room project during the next 30 days. The original planned location was the northeast corner of Fourth and Cumberland streets, but that has changed. Where will the $22 million development take shape? Next door at the northwest corner of Fourth and Rock streets. The launch of construction will mark a one-year departure from the original timetable planned by Little Rock’s Pinnacle Hotel Group. Once envisioned to open in March 2016, the hotel is now expected to begin operations by March 2017. The hotel will employ 50 and house nearly 4,000 SF of meeting space and a full-service restaurant and bar on the ground floor named The Garden and a top-floor venue called Posh.